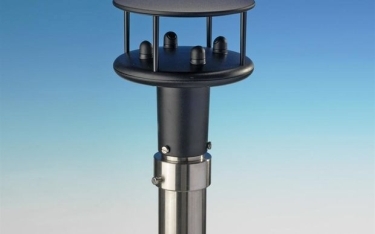 LSI LASTEM's Ultrasonic Anemometer helps to determine the wind direction and speed. The 2 axis type Ultrasonic Anemometer is without any moving part. Here, it is the unique for the general applications of meteorological that need low measurements or maintenance with a fast response in the low range of wind speed condition. The DNB004 model can also be connected to the any of the LSI LASTEM data loggers on the COM2 serial port. The Ultrasonic Anemometer models include the DNB104, DNB 146, DNB107, DNB 105 and DNB106. The output of all the models varies from one model to another model. The model DNB107 and DNB106 has the heater. Type DNB146 uses the sonic 3 axis type and the other model uses sonic 2 axis type. The compass of the Ultrasonic Anemometer follows the magnetic principle with a measuring range of 0-360 degree, resolution 0.1 and uncertainty _+1 degree. You can use the different length of cable based on the needs and requirements along with the adopter for the DNBxxx sensor to pole. The protocol used in the Ultrasonic Anemometer is NMEA, SD-12 and Modbus RTU. The measuring range, uncertainty and resolution will differ from wind speed and wind direction.